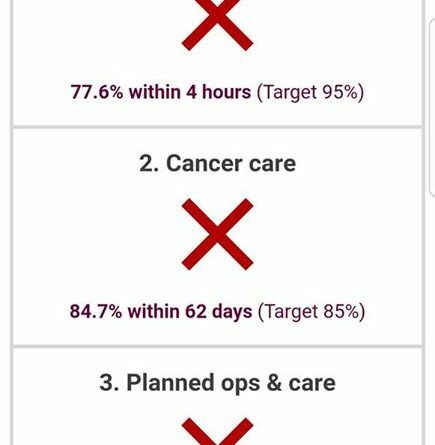 BBC figures show that not only is our hospital missing it’s key targets, it’s been some time since meeting them. Quickest way to improve that A&E figure? Close it! If 2 A&E departments aren’t coping with demand, how is 1 going to manage? If I am sitting in A&E with a serious injury as opposed to a life threatening injury I really do not mind waiting an extra few hours. I would much rather know that the other person’s life was saved. A&E or other health needs do not blend themselves into targets. We should perhaps measure was everything possible done for a patient in the quickest time manageable. Let me just throw this in…. 2 out of the 3 they were actually higher than the rest of the uk. Thanks for sharing that Gemma. I think it’s all too easy to look at the headlines and not appreciate the tremendous work that is done. What is annoying about these sort of things is that people assume that the targets being missed is the issue and don’t question what the targets are or how they can be achieved. It comes down to money. They aren’t giving enough funding, and therefore wait times and ‘targets’ are not going to be met! Yet they’re all run ragged,it’s not targets that are the issue it’s lack of funding and so staff etc to meet the demands that growing telford is giving. ALL UK hospitals and ALL emergency services are stretched to the limit and the government wants to cut them more you can’t blame the staff they can only work with what they have been given !!!! 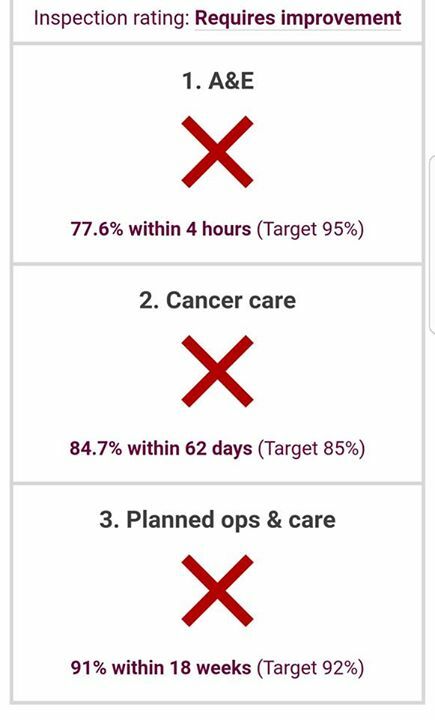 Just watched on television ALL NHS hospitals are failing targets in England & Wales SO Not just Telford!